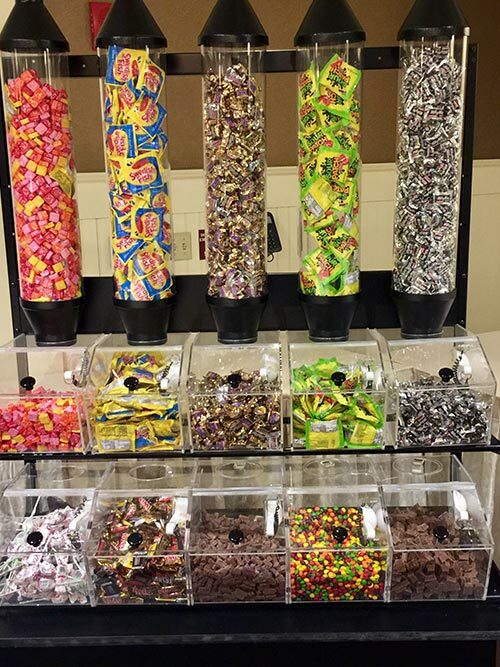 This one is a definite hit at every party. 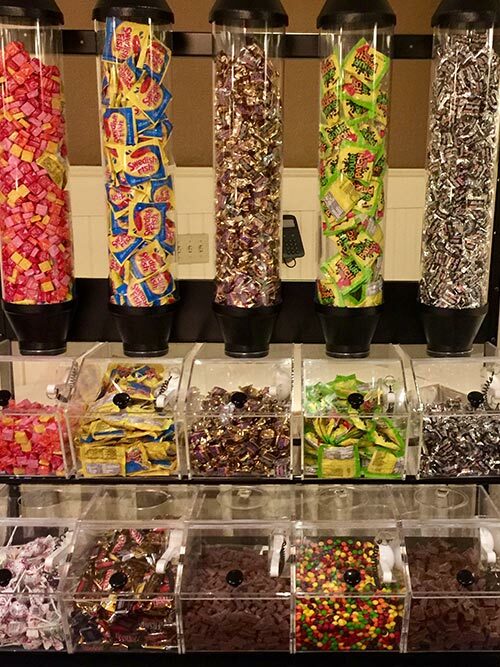 Imagine a wall with all your favorite assorted candies and chocolates. 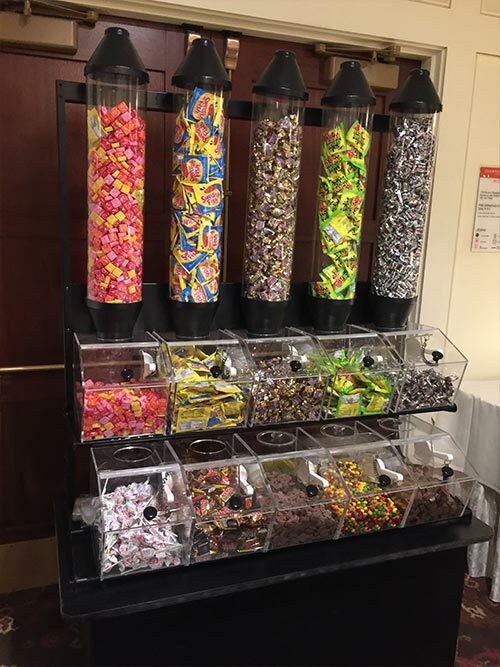 Have your guests pick out a bag full. 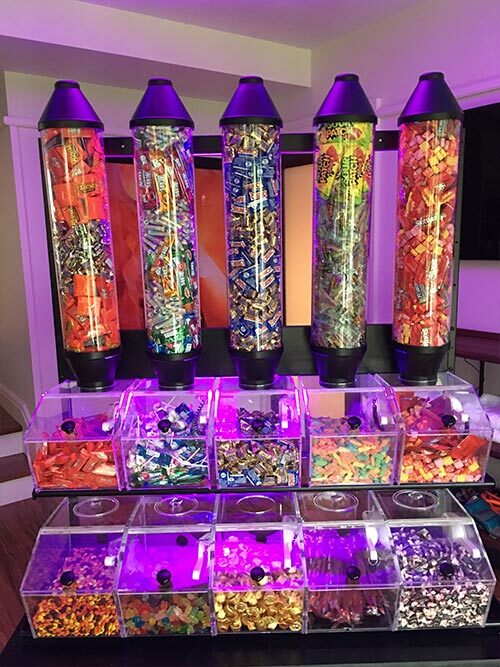 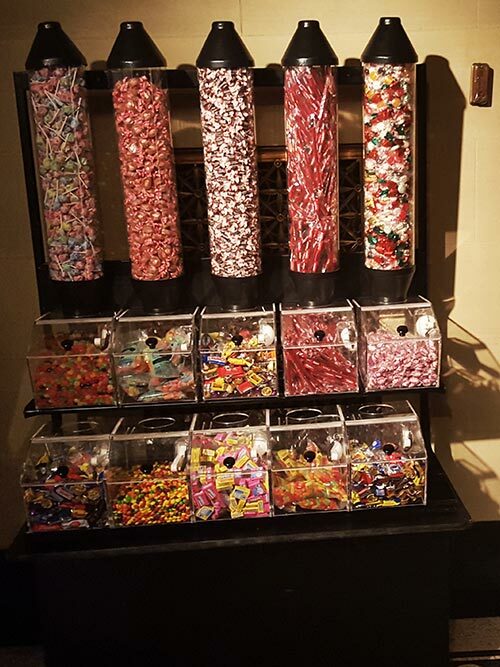 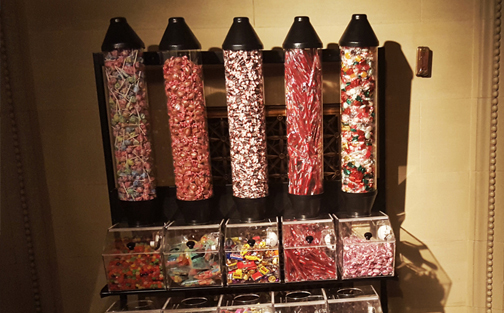 There are five tubes and five bins to fill with whatever your favorite candies are. 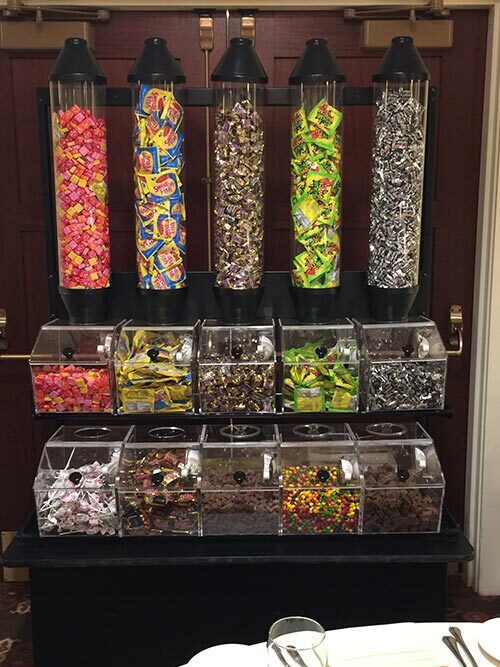 Your guests will be amazed when you bring out the Candy Cart. 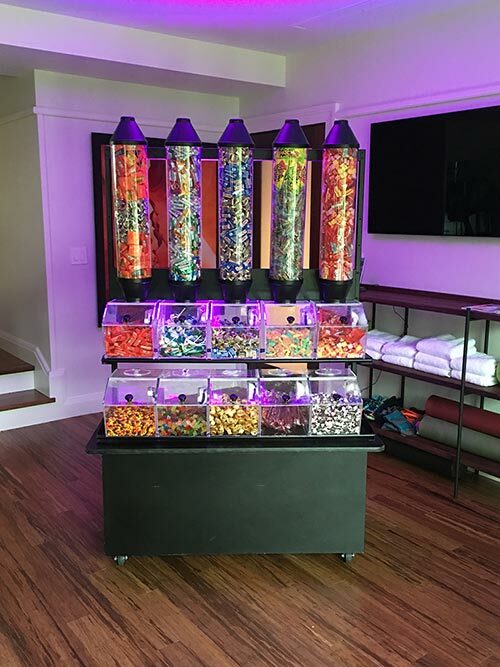 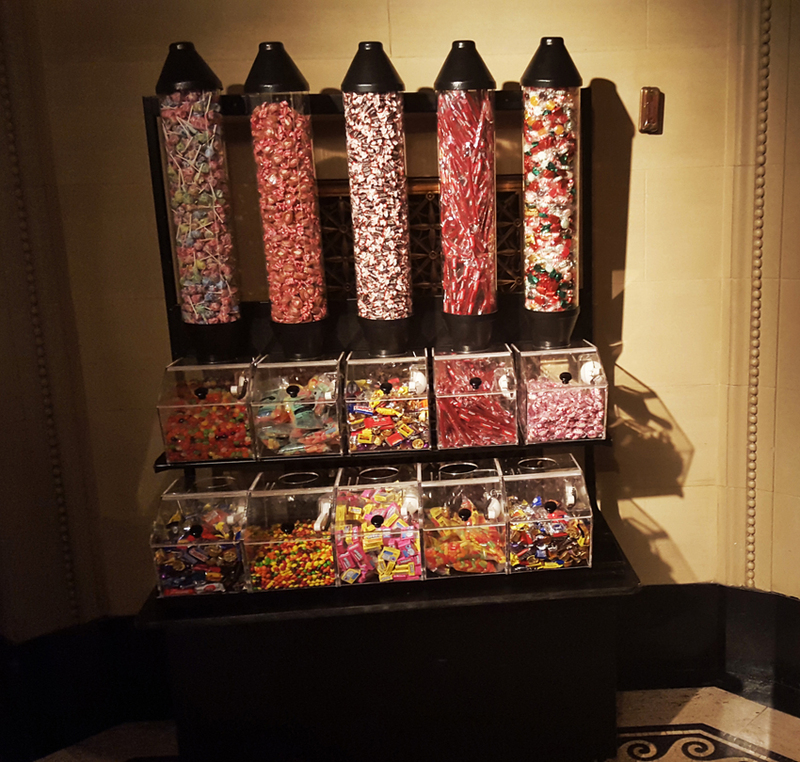 Let each guest grab a bag and fill it to the brim with the random types of candy. 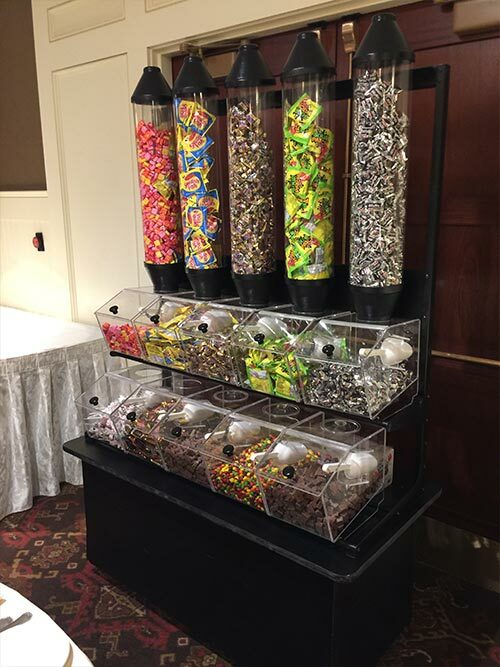 It’s a great favor to give at the end of your event.